Making boats accessible has proven difficult in the past, in particular smaller and private vessels. The main challenges that these projects face are: 1. function 2. materials 3. aesthetics. Our marine platform lifts look to tackle these challenges and create products that stand up to the hostile marine environment and look great. Nowadays most platform lifts work perfectly fine (on land) however couple that with the motion of the tide or swell and being fixed into a glass-reinforced plastic (GRP) boat hull they can quickly become ineffective. The greatest challenge that marine lifts face is seawater. If a product is not designed with this in mind corrosion and pitting corrosion can cause complete product failure. That's why every part and material we use is researched in order to see how it copes in a saltwater environment as well as how they interact with each other over time. 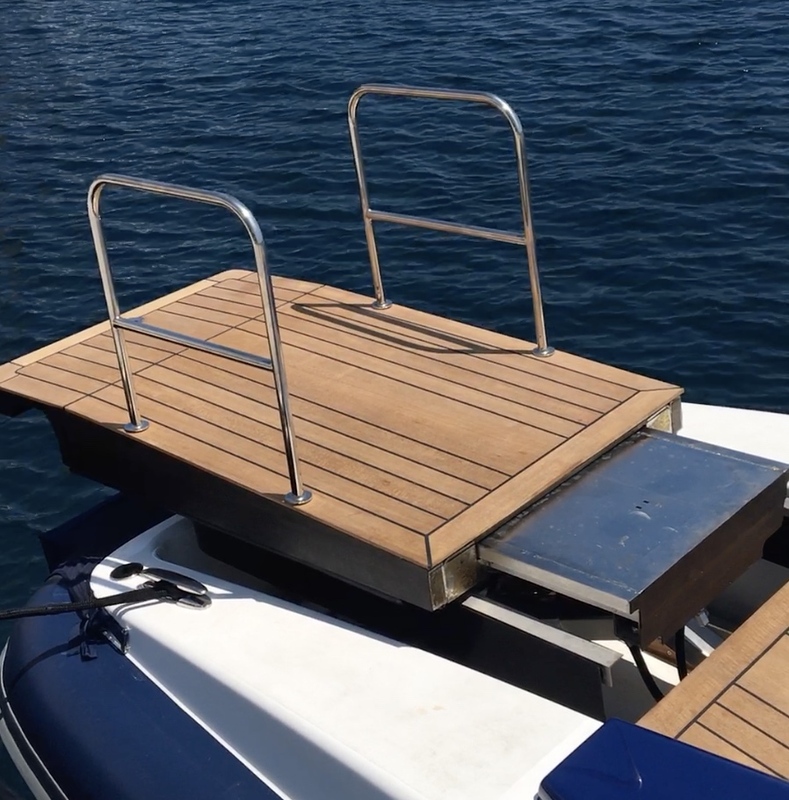 All steelwork for our marine platform lifts is made out of 316L marine-grade stainless steel, this prevents rusting over time and allows our products to withstand the harsh saltwater environment. Depending on the likelihood of coming into contact with saltwater, the metalwork can undergo a range of metal treatments on top of being made out of marine-grade stainless steel. For example if a boat is a leisure cruiser on a freshwater body such as a lake then the likelihood of rusting is greatly reduced compared to a high speed rib that's going to be used at sea. 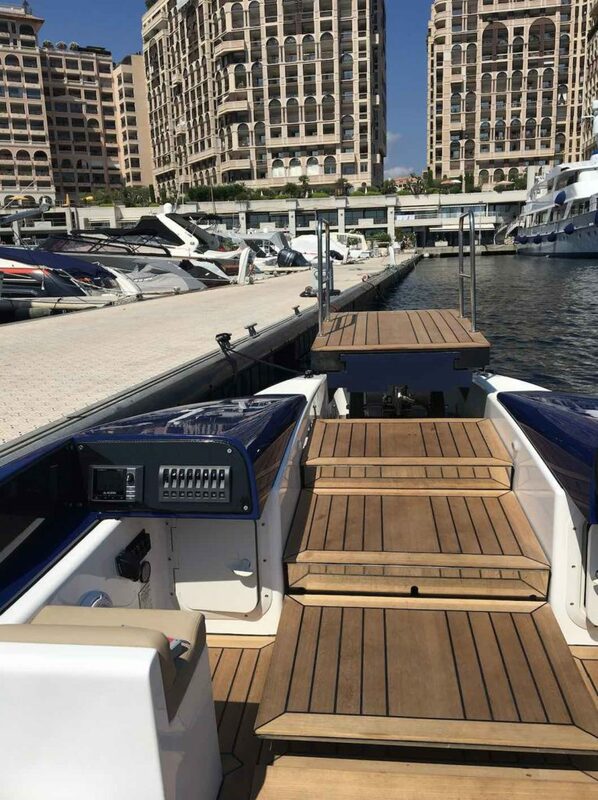 For this particular project, the lift underwent a number of metal treatments due to the location of the lift at the front of the boat and the type of boat. The high speed nature of the rib would lead to more saltwater breaking over the hull and coming into contact with the lift. We tailor make all of our marine platform lifts to the client's specifications, this includes the look and finishes used on the lift. 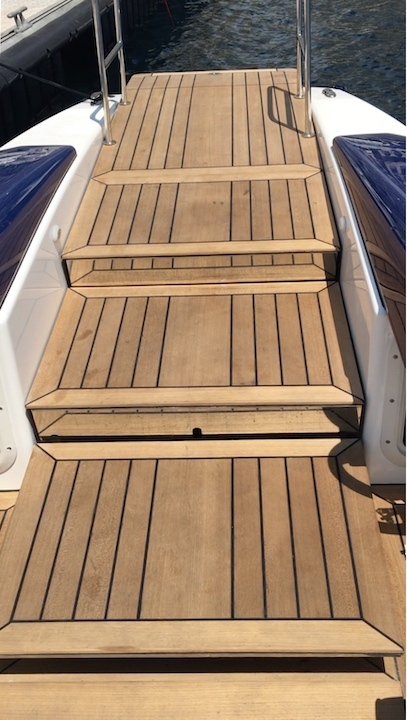 For ribs and speedboats original teak decking can be used so that the lift blends into the rest of the deck. A number of metal finishes are available for any exposed metalwork including mirrored finishes as seen on the detachable handrails for this project. 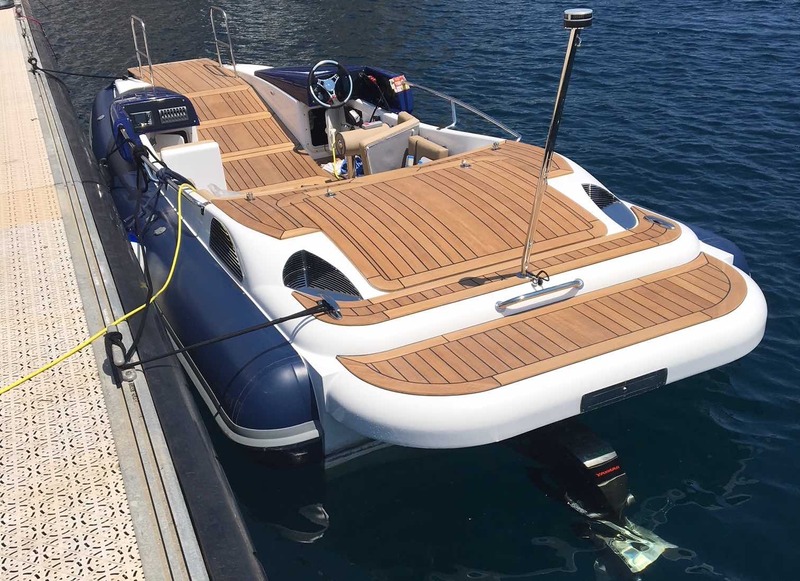 We also use rubber and neoprene for safety edges and protective borders to prevent scratching of both the lift and boat. This project was similar in design to our previous project for a speedboat (you can view that project by clicking here) however it posed a number of unique challenges. As the boat was a rib, any lift would have to be considerably lighter so not to weigh it down and affect overall performance. The position of the lift at the front of the boat could affect the drive of the boat, particularly at high speed and with very little room to work in the lift would have to be fixed to the GRP hull rather than structural steelwork. We also created a bespoke ramp that changes into steps when needed. This allows any wheelchair users as well as other guests to easily board and disembark the rib. 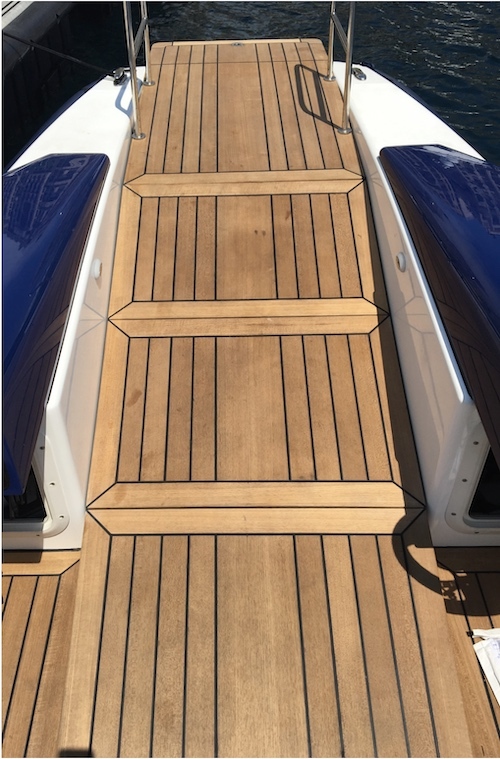 Both parts, the marine platform lift and ramp were finished with teak (as seen in the video and photos below) to match the rest of the deck and create a beautifully finished product. Posted in Boats, Planes & Trains, News.